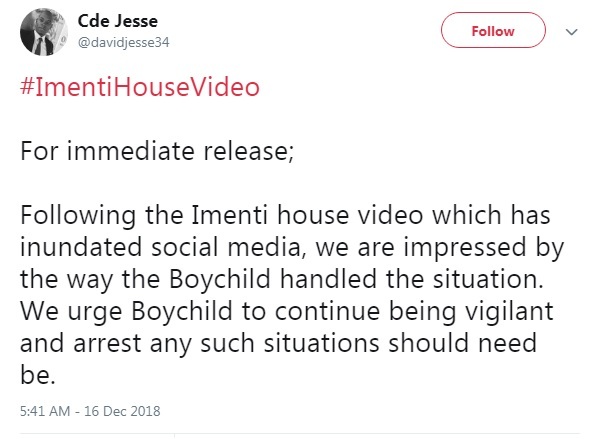 Monday, December 17, 2018 - If you have not seen or heard about the viral Imenti House video, you must be living under a rock. The one minute video of a skinny guy working on a well endowed lady like nobody’s business in a clothing store emerged online on Sunday and has been the talk of the town. 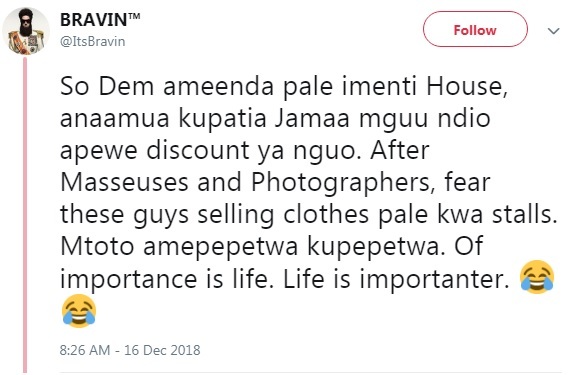 Ladies in particular, have been impressed by the skinny guy and have taken to social media to heap praises on him for a job well done. Others are on the prowl looking for their own skinny guys to drive them crazy. We have sampled the best reactions over the video below. Men were not left behind with their witty commentary on the guy’s performance.